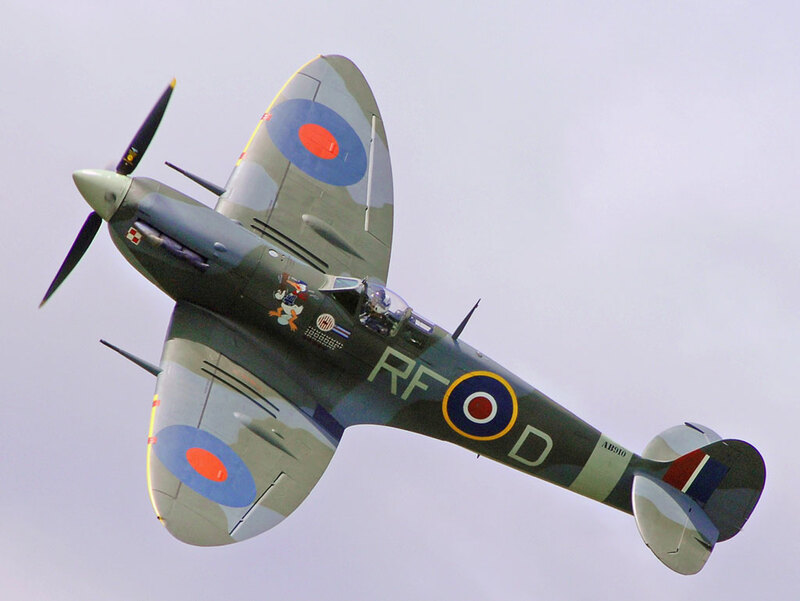 Either way, his breadth of experience and expertise is self-evident, and his memories of the Spitfire series are especially interesting – as he was familiar with Marks from throughout the type’s extraordinary evolution. His recollections are also peppered with obscure and fascinating details. 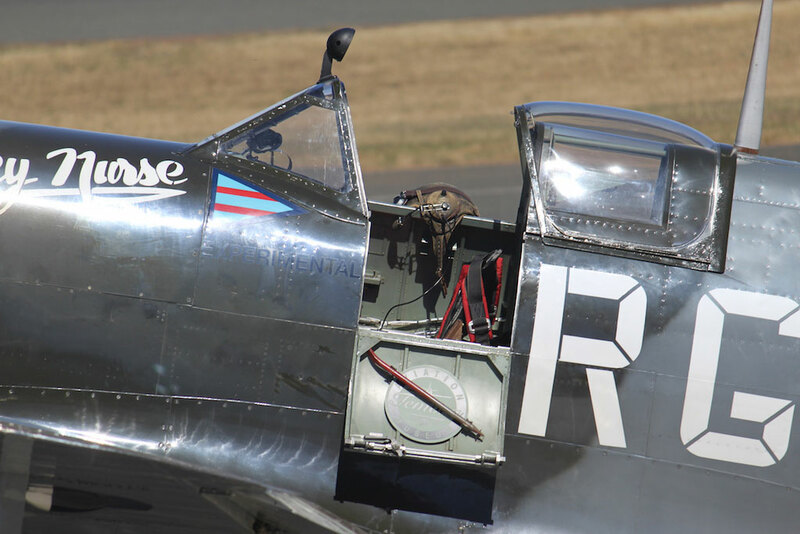 For instance, a passing reference to he early Spitfires having an ivory throttle control – presumably relating to colour rather than any actual elephant parts, but still… not black or red. So settle in, tighten your straps, latch the side access panel shut – and enjoy the ride. When someone asks brightly whether one has flown a Spitfire it is difficult, without risking an apparently outrageous line-shoot, to ask which of the score or so of marks is intended. 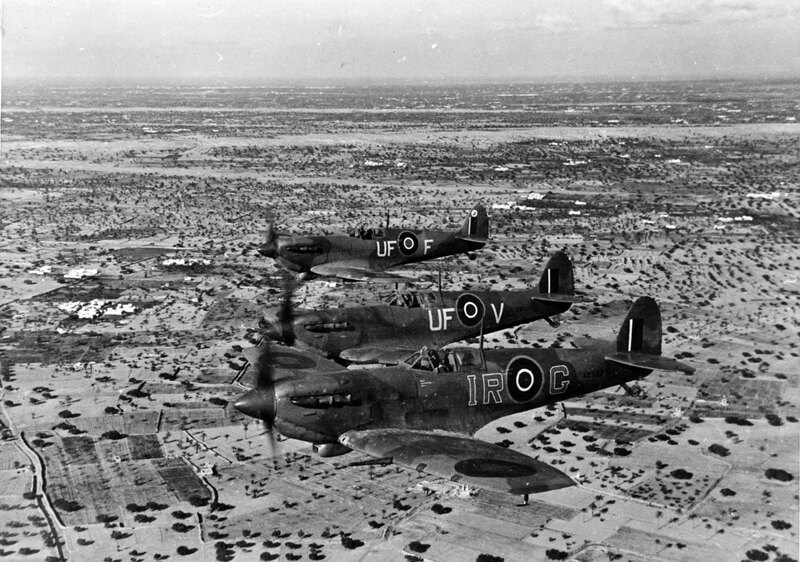 But most of those who have flown one version of the Spitfire have also managed, at some time or other, to have handled at least a fair proportion of the other types. Each, though alike in appearance, is unmistakably individual both in feel and characteristics. Even before the arrival of the XIV and the XXI, with their radically changing mannerisms, to find oneself back in the seat of a I or II was almost to experience the sensation of riding with the Wright Brothers. 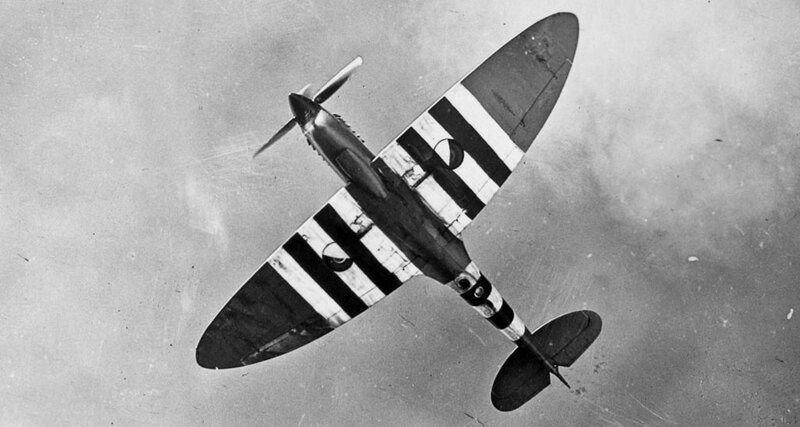 Yet that very first Spitfire was itself unlike anything one had previously handled and, at the time, felt like the very last word in single-seat fighters. 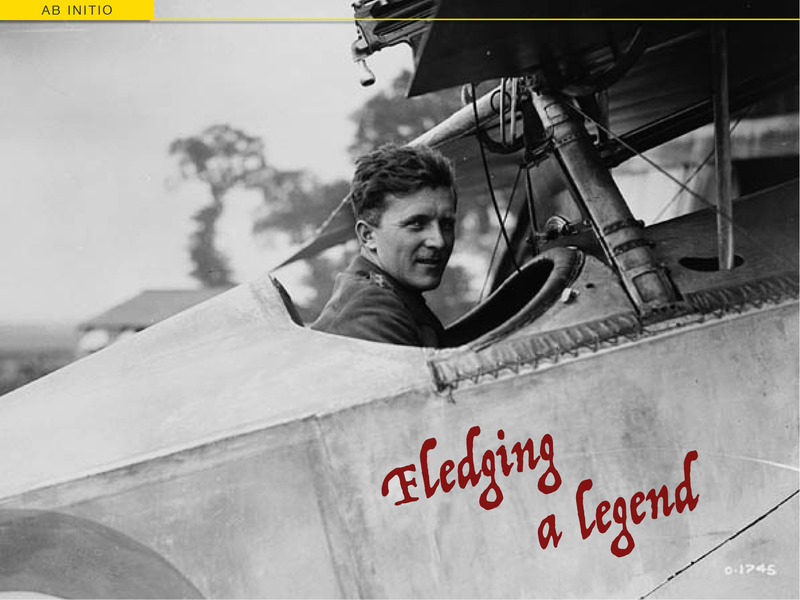 In comparison with other types of the period it was quite incredibly ‘light’ in every way, as well as being exceptionally fast—so fast that your maps were left behind, so to speak, on cross-country flights; and you arrived at your destination at least ten minutes before any mentally calculated ETA. On my first flight weather conditions were, I remember, on the thick side and I found that the wing’s leading edge prevented all but the dimmest view of the ground. Unused to the type and without later discoveries of ways to see over or along the flat-topped engine cowling, the arrival was just an arrival and no more. The original Spitfire had no engine-driven hydraulic pump and the undercarriage was operated by means of a long hand-pump on the right. Not only were you expected to change hands in order to select ‘up’ after take-off, but this pump then had to be worked vigorously while flying with the left hand. With no previous experience of the type’s very sensitive elevator control, departure was made in a series of fore-and-aft over-corrective pitchings. Later on, one learnt to be very ambidextrous and retain good control of any muscular reflexes, so that this inevitable ‘hunting’ could be reduced to an amount which might not give one away to any watchers on the ground. With the early Marks, too, the throttle damper was not very effective unless tightened with a pair of pliers, and pumping the undercarriage had to be given up occasionally – changing hands yet again – in order to deal with the sudden extraordinary silence as the ivory-handled throttle vibrated quietly back. 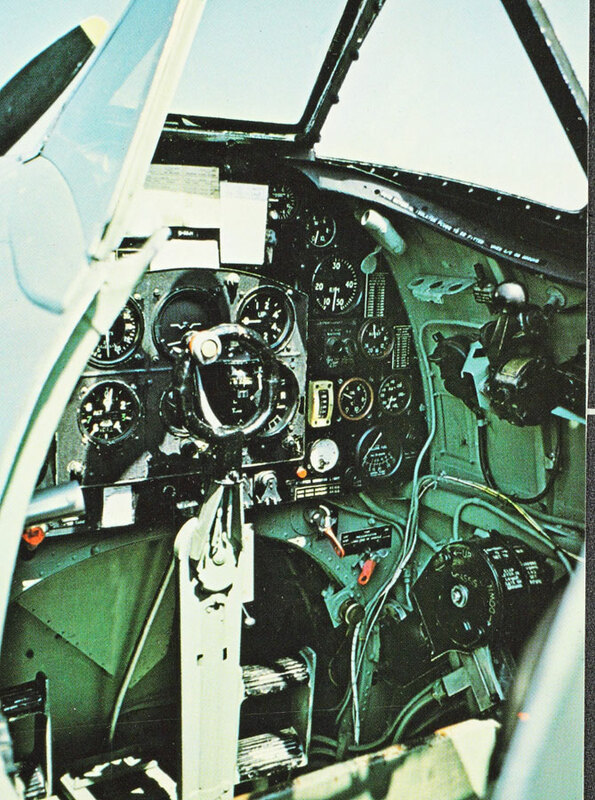 It is now difficult to remember that those early Spitfires, after the fixed-pitch period, had a two-pitch airscrew operated by a plunger-type dashboard control. 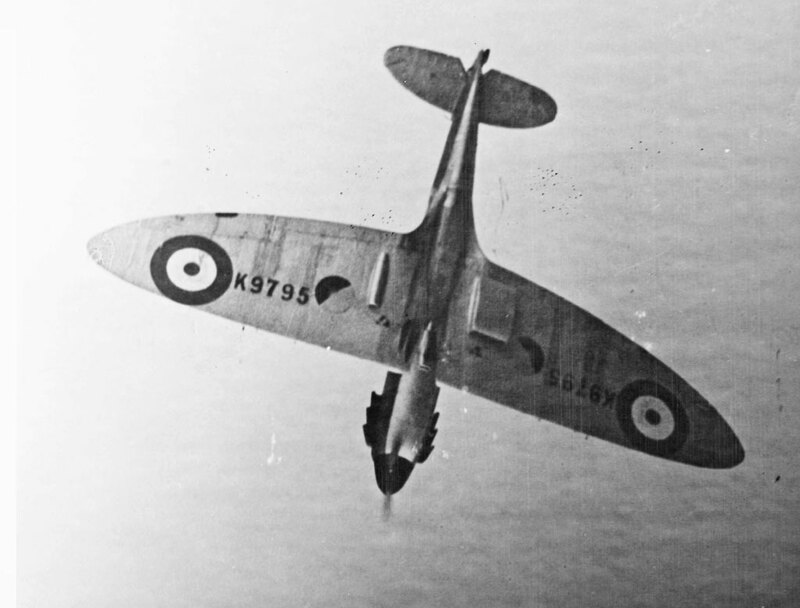 Another little difficulty which occurred with many of the early Spitfires concerned the way in which the undercarriage selector would occasionally jam irrevocably in the half-way position while selecting ‘down’. For one reason or another the up-lock pins would become immovable and it was necessary to take the weight off the retracted legs if any further lowering progress was to be made. Since, of course, the only way of doing this was to invert the aircraft, Spitfires might occasionally be seen on their backs during the circuit. An alternative method of freeing the selector was to push the nose down violently, while, at the same time, giving the lever a sharp tug. 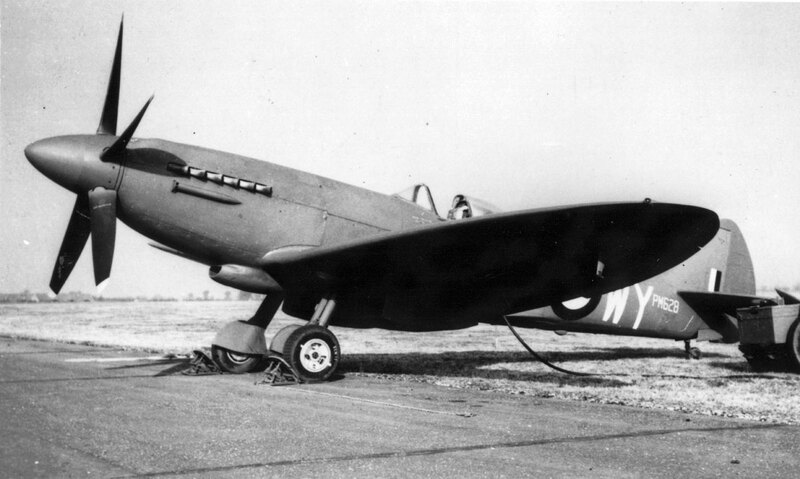 In many ways, the most pleasing of all the Spitfires was a version of the Mark V, with clipped wings and a cropped blower. I’m not sure whether, previous to general modification, this V was the first to have metal rather than fabric ailerons, but certainly they were extraordinarily light—and more so than any earlier or later marks, with the possible exception of the VIIIs. With this Spitfire V one also had the pleasure of obtaining an unprecedented 18lb of boost. airscape Note: This was the L.F. Mark VB (LF for Low-altitude Fighter), with 24 inches removed from each elliptical wingtip and powered by various Marks of Rolls-Royce Merlin (45M, 50M, 55M) and 56M) which, in turn, all had their single-stage supercharger impellers cropped by about 2 inches to increase allowable boost and power exclusively at lower altitudes. Given metal ailerons were introduced to production Mk.Vs from May 1941, and clipped wing trials weren’t conducted until late 1942, it’s likely that the metal ailerons were a standard feature. 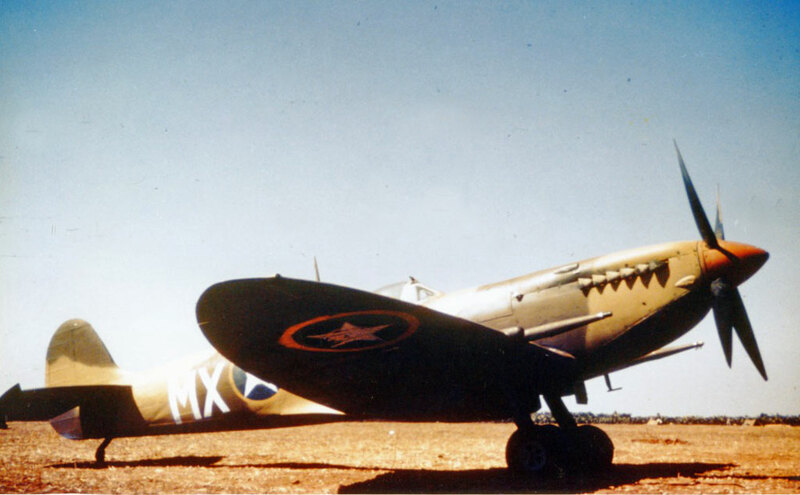 An additional item of trivia is that not all LF Spitfires had their wingtips clipped – the designation referred to the engine type and not the wing planform. Although the Spitfire always appeared to be ‘under-legged’ and should, by all the rules, have been difficult to handle while landing with such a comparatively narrow undercarriage, the entire situation was more than saved by the fact that control was so good right down to the stall. When landing across wind, therefore, the necessary degree of corrective drift could be applied and held to the last possible moment, and there was no real excuse for any ground looping. 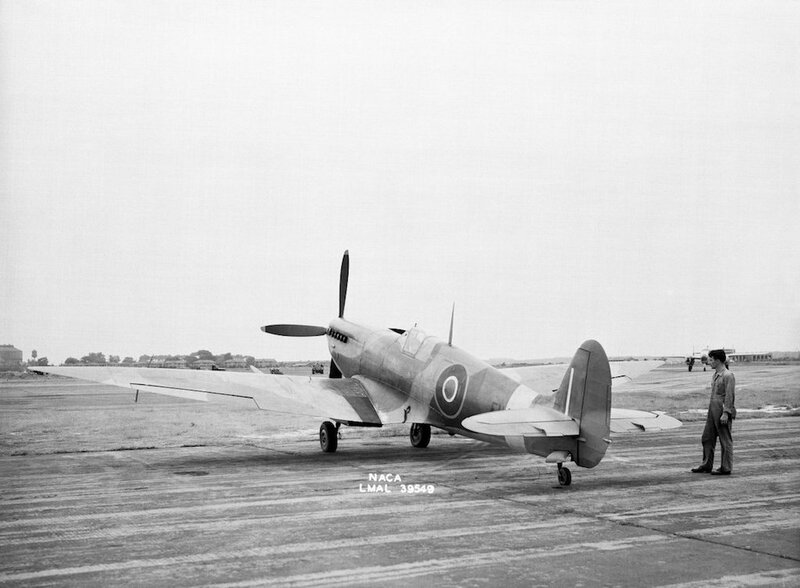 Experience at one small airfield where, even in the later stages of the war, there was only a single runway (and this nearly always out of wind) showed that the Spitfire would take almost anything in the way of a cross-wind unless carelessly put down with the drift unchecked. In fact, the entire performance soon became quite instinctive and it was impossible to explain exactly the action which was being taken during the final hold-off seconds. Only after landing would it necessary to take a smart handful of brake lever to prevent the aircraft swinging into wind. Some intermediate and lesser-known Marks were the pressurised VI and VII. In one version the cockpit lid was effectively ‘built’ over the pilot before the run-up. There were then another four clamping levers inside, which the pilot would need to reach and lock. The most back-breaking contortions were required in a very confined space to get these locks pushed home with claustrophobically palsied hands. Thereafter it was not possible to open the hood without actually jettisoning the whole outfit. Other variants had a sliding canopy but, for some curious aerodynamic reason, these caused a tail burble when opened in flight. To avoid the resulting shudderings one was inclined, even with this type, to still arrive with the hood shut. Both of these pressurised Marks were strangely unlike the others. The whine of the cabin blower; the way in which a deep silence cut one off from the outside world as the cabin sealing was applied; the pointed wing tips; and the mechanical stiffness of the ailerons as the cables passed through their airtight conduits – all added up to an overall strangeness. 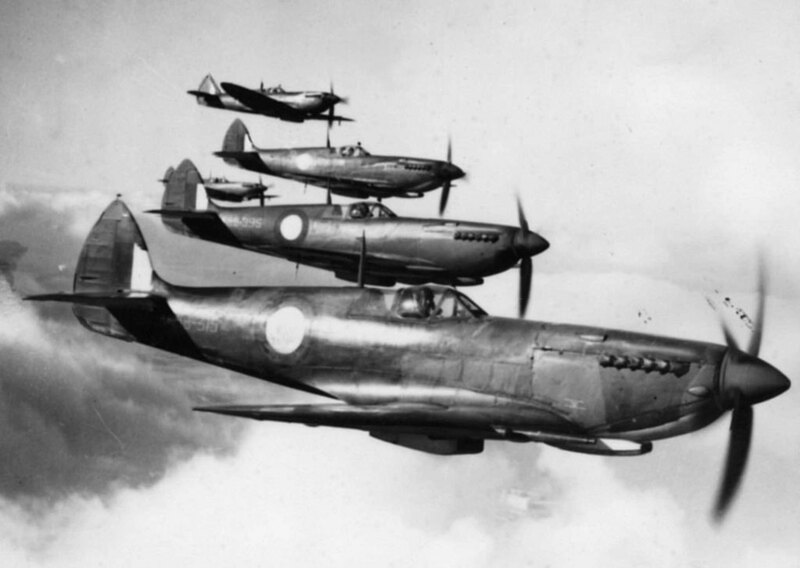 I believe the majority of Spitfire VIIIs were shipped to the Far East but, in any case, production was necessarily on a smaller scale than that of the Mk.IX – although the former was in many ways a more advanced version. It had a retractable tail-wheel and was, I believe, the first to be fitted with the higher aspect ratio rudder as well as an interconnected throttle and airscrew control. There were two major sub-variants, one with a Merlin 66 and the other with a Merlin 70 for low and high level operations. Or, more accurately, for ‘high and higher’ operations respectively. airscape Note: The majority of Mark VIIIs were indeed sent to East, including 409 to the Royal Australian Air Force (Fs A58-300 and A58-301; LFs A58-302 to A58-550; and HFs A58-600 to A58-758). As stated, the Mk.VIII’s production run of 1,658 was far smaller than the Mark IX’s 5,710. However both Marks were loved by pilots, and probably compete for the ‘perfect Spitfire’ crown. 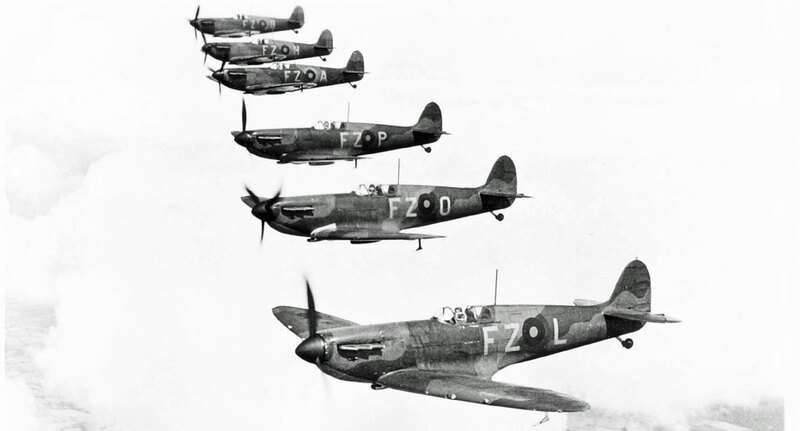 Each Spitfire Mk.VIII on test from the factory was taken to full-throttle height in ‘M’ gear, and then to automatic blower-change height, before being brought down again for level-speed and diving tests – which were carried out in all kinds of strange conditions. On one occasion I was still in cloud at 20,000ft. 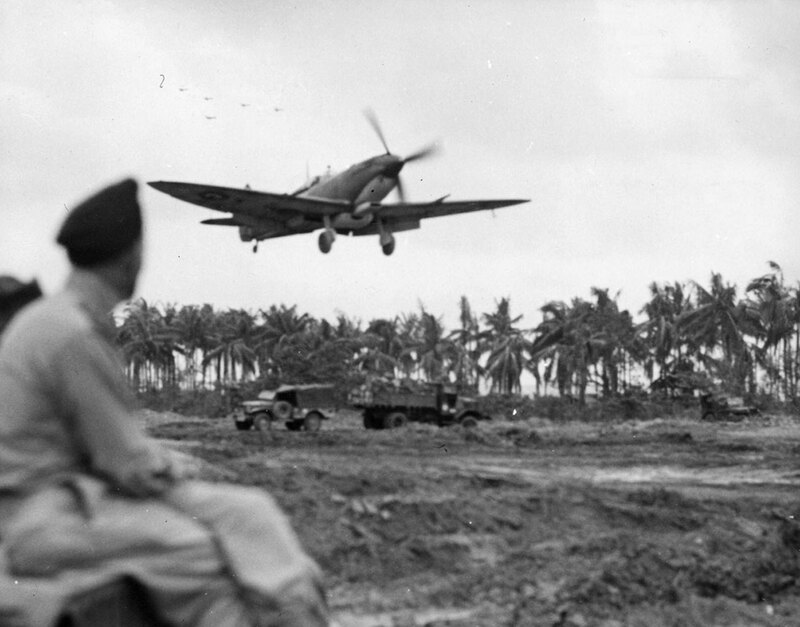 We had a trick by which, in overcast conditions and without radio aid, we could always guarantee to return to a point within a few miles of the airfield. Climbing up into wind at the correct speed of 170mph and at rated boost, we would turn down wind for the speed check, and round again for the dive, the end of which should, in theory, have brought us back again over the airfield. Of course, there were often delays of different kinds during these tests so, after breaking cloud, perhaps over a totally unknown landscape, it was quite an exercise in rule-of-thumb navigation to find one’s way back home. Often we were quite near, but didn’t know it. Maps, though useful as a means of giving confidence, were not really of great value since, in order to find one’s way from A to B it is necessary, first of all, to know where A happens to be – and that particular piece of information wasn’t always immediately available. And there – somewhere between A and B – we’ll leave Indicator and his tour of the Spitfire family. Come back aboard for Part Two (available here), for a run through the later Merlin and Griffon-engined marks and on to the last of the line. A beautiful aircraft and a challenge to explain each ones’ little idiosyncrasies. I’m looking forward to part two! Great article! I also look forward to part two. I’ve had an article on the Hawker Hurricane for my blog in the works for quite sometime and it’s given me enough headaches in deciding how to approach that subject. I couldn’t imagine trying to tackle the Spit. Fascinating. I’ve never realized how the MKs were so different from each other.